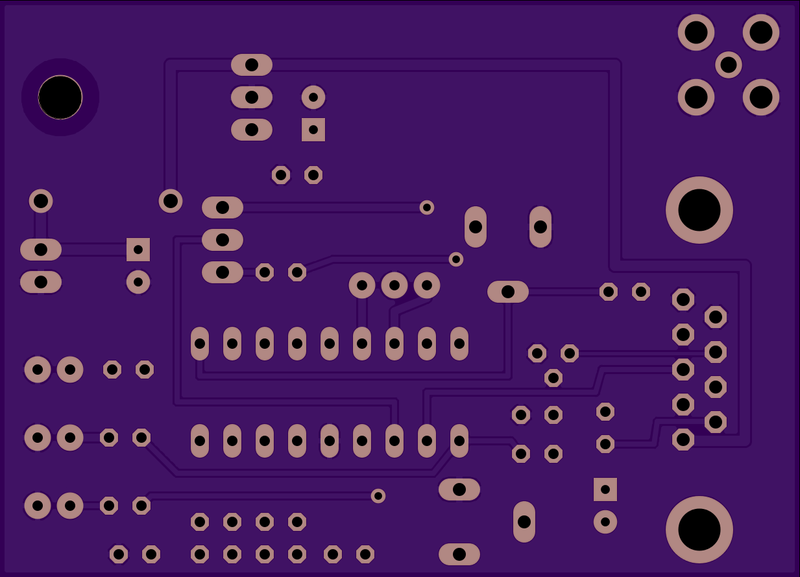 2 layer board of 2.47 x 1.78 inches (62.7 x 45.2 mm). Uploaded: March 23rd, 2016 21:26. 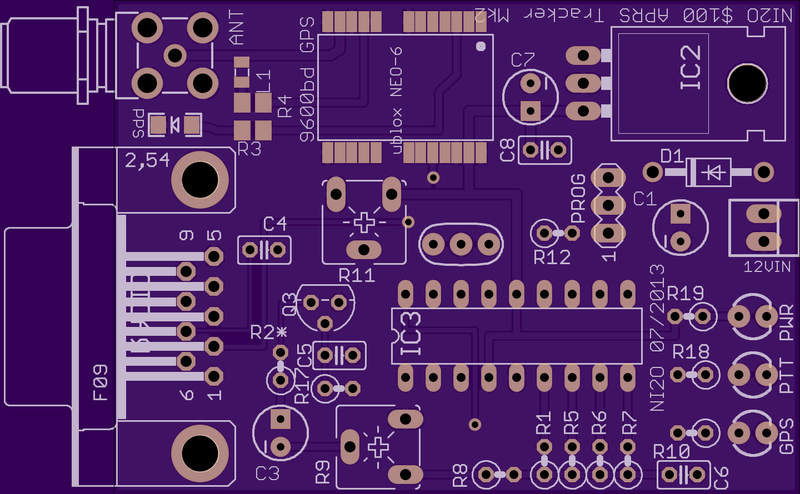 A reboot of my $100 APRS Tracker project. This time you need add only a radio and antennas. Uses Ublox NEO-x GPS at 9600bd.